If Tom Hiddleston was a dessert, he would be the BBC. Classic, refined, and just a little bit naughty. BAKING! Yes, back to baking. First off, you need to make this a day in advance. It’s not something you can throw together and scarf down during an impromptu Thor marathon. Trust me, magical things will happen to it when it sits in the refrigerator overnight. Maybe the Cheesecake Fairies visit or something, I don’t know, but it’s worth the time. Butter the bottom and sides of a springform pan. That’s the pan with a smooth, removable bottom. No, I will NOT make comments about Tom Hiddleston’s bottom. I would never. Not in print, anyway. This gives the crust a non-uniform texture which I like, but if you crave uniformity, feel free to chop the cookies in your food processor. Combine with ½ cup melted butter and press into the bottom of the pan. Bake for 10 minutes and remove to cool while you make the filling. Mix the cream cheese, sugar, sour cream and salt together in the bowl of an electric mixer until well combined. It’s time! Add ½ cup of Bailey’s! Take a drink for yourself, for quality control purposes. Pour in the vanilla and add the eggs one at a time, then transfer the finished mixture into the pan. Now, the pros say that you’re supposed to put a cheesecake in a water bath in the oven, but I don’t have a pan that would work as a cheesecake bathtub, so I set the whole thing up like this and poured water around the edges. Bake for 50 to 60 minutes, depending on your oven, until the cheesecake still wiggles when you shake the pan, but doesn’t seem soupy. Turn off the oven but leave the cheesecake in there with the door slightly ajar for another 15 minutes. Remove pan and place on a cooling rack. Once the cheesecake is completely cooled, place it in the refrigerator overnight. Okay, you are ready to make homemade butterscotch. 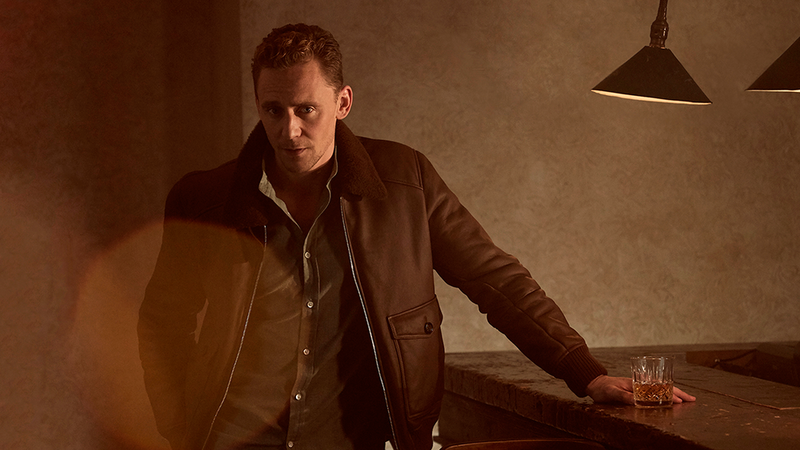 Do not start daydreaming about Tom Hiddleston at this time! Butterscotch needs your full attention because things can go wrong quickly! Tom will understand. Melt the butter in a saucepan over medium heat. Once the butter is melted, add in the sugar, corn syrup and salt. Stir continuously. It will go through a few stages. When it starts to combine, remove the pan from the heat and add heavy cream. Be careful: This sometimes can sizzle or steam and you don’t want your face over it or you’ll look like Deadpool. Return the pan to medium-low heat and stir until it’s all combined and beautiful. I use a whisk at this point to make sure it’s all smooth. It normally takes 3-5 minutes. Transfer butterscotch to a heatproof bowl and stir every few minutes until it’s warm but not hot anymore. Add in the vanilla and bourbon and stir until combined. Take a shot of bourbon for yourself, for quality control purposes. Keep stirring every once in a while until it’s completely cooled. Move it to a storage container. You can keep this butterscotch in the fridge, but you’ll want to warm it up a little before you use it over a bowl of ice cream, or a Belgian waffle… Oh, my gosh, it would be ridiculously good on a Belgian waffle with some whipped cream. I put a spoonful in my coffee and it was spectacular. Bourbon butterscotch would be amazing with a lot of things, let’s face it. There will be leftover bourbon butterscotch. I’m just going to let you think about that: Leftover. Bourbon. Butterscotch. It makes me swoon almost as much as Tom does.